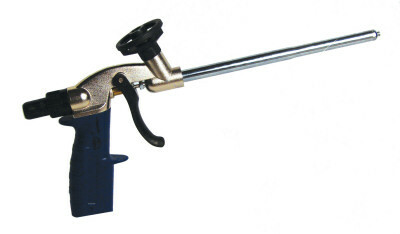 The Handi-Tool® dispensing units are designed with efficiency and ease of use in mind. 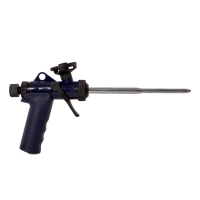 Foam dispenser guns provide clean, accurate and efficient dispensing of foam products without the mess associated with other foam can products. 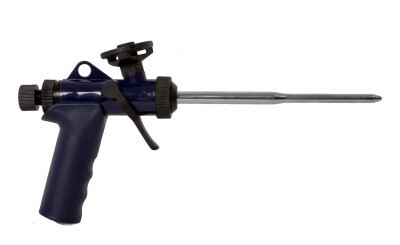 This foam dispensing gun offers a professional alternative to straw foams. You no longer have to hassle with clogged straws and wasted foam. Instead of tossing out a half used can, you will be able to store it for use later. 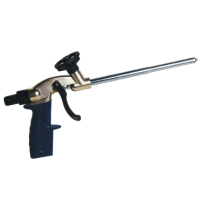 Handi-Cleaner can be used on these foam guns to easily clean up any uncured foam. 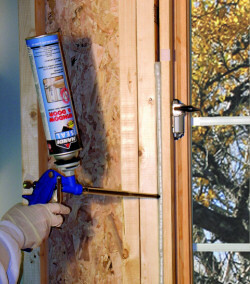 Temperature: Spray foam products are temperature sensitive. You can spray this foam in colder outdoor temperatures, the key is to keep the core temperature of the can within the proper range of 65-100°F. Adjustable Flow: The HT300 and HT500 guns are equipped with a regulator screw that allows you to control the flow rate and adjust the bead size. 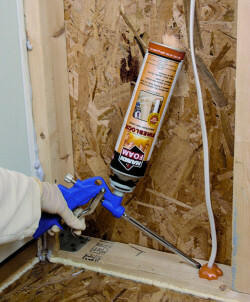 Larger Voids: If sealing voids 3" or larger, moisten with a spray bottle before foaming. Clean Up: You can clean up uncured foam with Handi-Cleaner. Clean gun tip after every use. Clean basket whenever changing cans. Once foam is fully cured, you will have to remove it by mechanical means. You may be interested in some of these accessories. Looking for two-component spray foam kits? 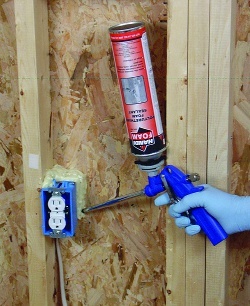 Note: Use this foam seal spray only according to the manufacturer's written instructions.